The Trasher is the Kingfisher Canoe Clubs newsletter. Published bi-monthly it lets club members know what is going around the club. Trip reports, diary dates and other articles of interest to paddlers are included. 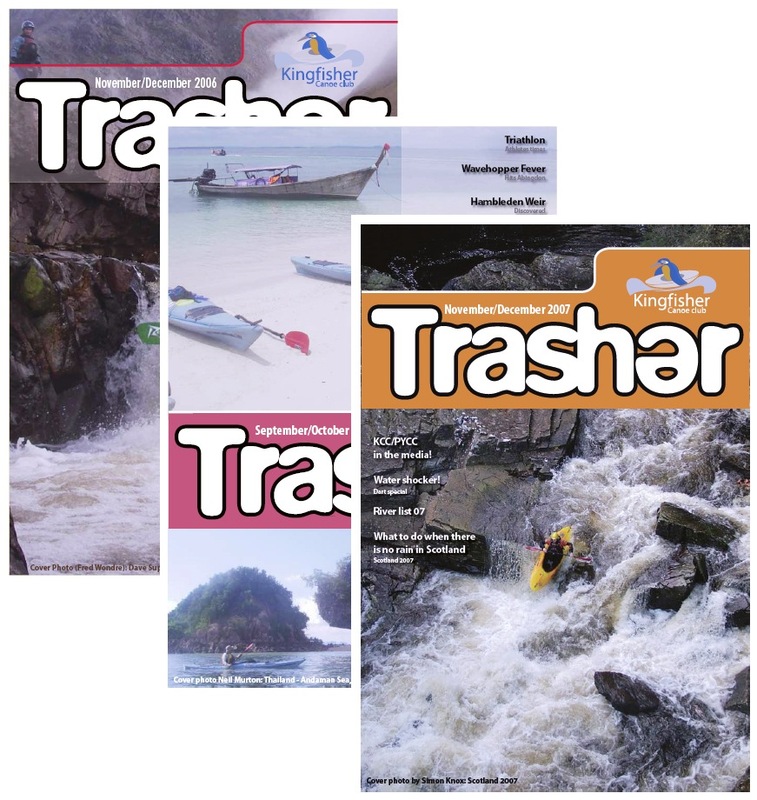 Below you will find a link to download past editions of The Trasher. The files are all in Adobe Acrobat format you will need Arobat Reader to view these. This is free to down load from Adobe’s web site, (http://www.adobe.com). Note: These do not include the members address list but are in full colour! To access this page you will need a password. To obtain the password, please e-mail the club secretary (kcc.secretary@gmail.com).